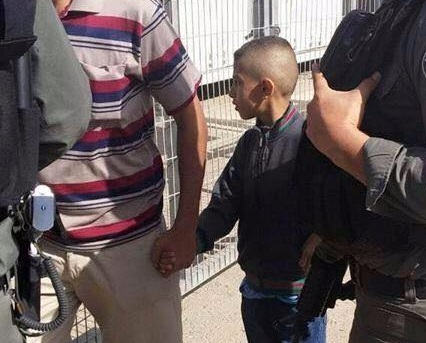 Israeli soldiers kidnapped, Friday, a Palestinian child in the southern West Bank city of Hebron, and demanded his father to pay a fine in exchange for his release. This is the fifth time the soldiershave abducted and detained this child. Resident ‘Aref al-Ja’bari said the soldiers held him and his son, Emad, only 14 years of age, after a colonialist settler claimed the two “attacked his son,” in Jaber neighborhood, in Hebron’s Old City. Al-Ja’bari added that this was the fifteenth time the soldiers kidnapped and detained his child, and that the army is now demanding him to pay a 1000 Israeli Shekels fine in order to secure his child’s release. On Friday evening, the soldiers kidnapped a young man after stopping him at one of the military roadblocks surrounding the Ibrahimi Mosque. Israeli soldiers and police officers detained, Friday, at least 42 Palestinians from the courtyards of the Al-Aqsa Mosque, and released them later except for seven Palestinians, who remained under interrogation. The Wadi Hilweh Information Center in Silwan (Silwanic) said dozens of soldiers were deployed at the gates of the Al-Aqsa Mosque, after completely surrounding it. Lawyer Mohammad Mahmoud said the soldiers, and police officers detained more than 40 Palestinians from the Gates of the Al-Aqsa Mosque, its courtyard, and in the Old City, and took them to the al-Qashla police center for interrogation. 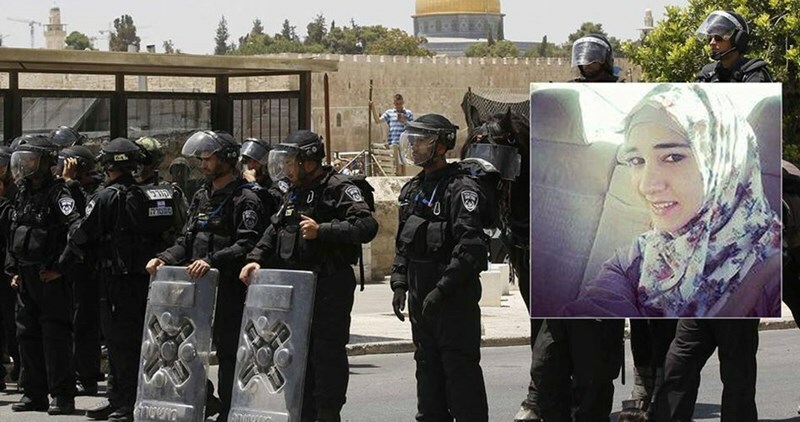 Silwanic has reported that dozens of officers and soldiers, who were deployed at the gates of the Al-Aqsa Mosque, detained and questioned dozens of young Palestinians while leaving the mosque; most of them were released while many were moved to al-Qashla station. The police later released all detained young men except for seven who remained under interrogation under suspicion of participating in clashes that took place following noon prayers. The Palestinians, who were remained held under interrogation, have been identified as Qussai Mohammad Khalil, 17, Fadi Ahmad Met’eb, 17, Ayyoub Maher al-Hindi, 18. Ismael Tawfiq Mheisin, 17, Ibrahim Azmi Hreyyat, 18, Yousef Abdul-Karim al-Alami, 22, and Ammar Abu Jibna, 23. 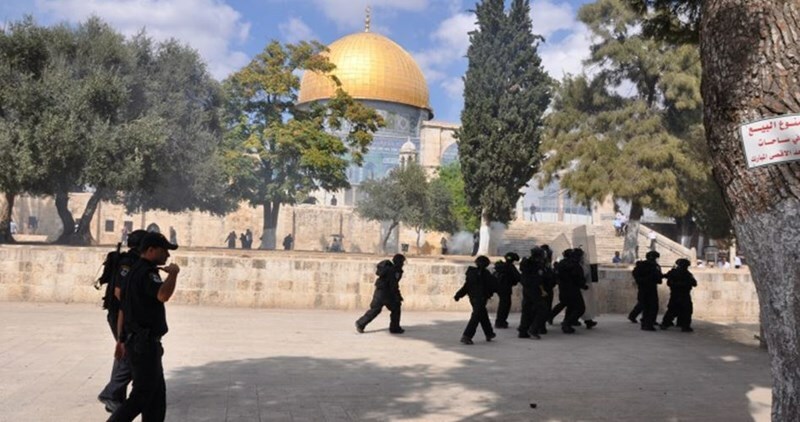 Israeli police forces on Friday afternoon clashed with angry young men in the Aqsa Mosque's courtyards. According to the Palestinian Information Center (PIC) reporter in Jerusalem, several Palestinian young men threw stones at police forces during their presence at al-Maghariba Gate in protest at the desecration of the Mosque by Jewish settlers last week. Following the events, the Israeli police erected iron barriers at all entrances leading to the Aqsa Mosque and prevented Muslim worshipers from going in. The police also arrested 36 young men after they left the Mosque. Palestinian prisoner Majdi Yasin, a 33-year-old lawyer, has entered the fifth day of his hunger strike in the Israeli Jalama jail in protest at his detention with no guilt at al-Karama border crossing. The Shin Bet arrested Yasin as he was traveling back to Sweden after he spent a vacation in his native village, Anin, in Jenin. Local sources told the Palestinian Information Center (PIC) that Yasin, who holds Swedish citizenship, went to al-Karama crossing five days ago in order to travel from Jordan to Sweden, but Shin Bet officers detained him for several hours before transferring him, with no reason, to Jalama jail. Yasin told his lawyer that he would not end his hunger strike until he was released. 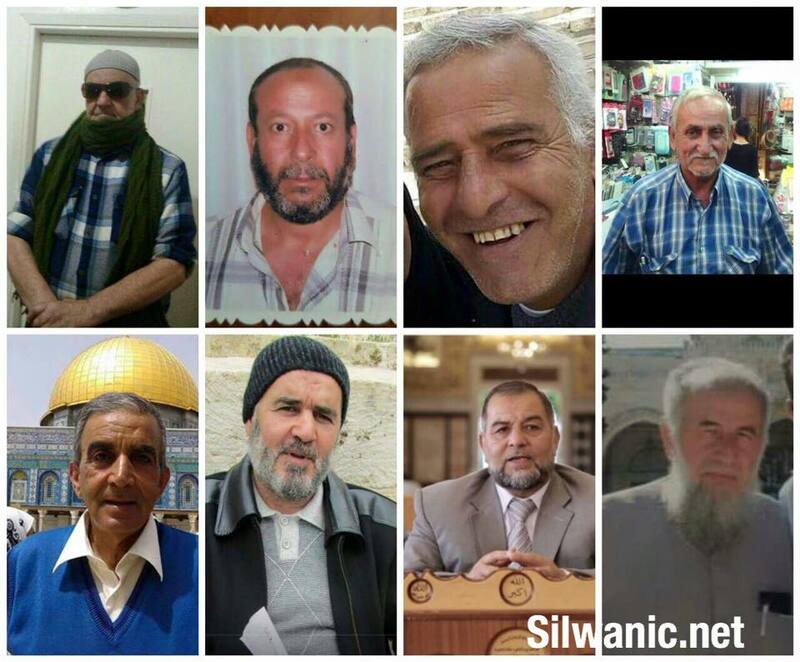 The Israeli District Court, in occupied Jerusalem, indicted seven elderly Palestinian men of what it called “joining a hostile organization,” for their activities, nonviolently resisting the provocative tours conducted by Israeli extremists into the Al-Aqsa Mosque. The indictments were filed against Sa’adi Rajabi, Anwar al-Qaaq, ‘Adli Abu Ermeila, Mohammad Taher Arafa, Jamal Natsha and Khader Abu Sneina. The Court will be holding a hearing into the indictments on May 17, and also decided to prevent the men from entering the Old City of occupied Jerusalem and the Al-Aqsa Mosque, until that date. 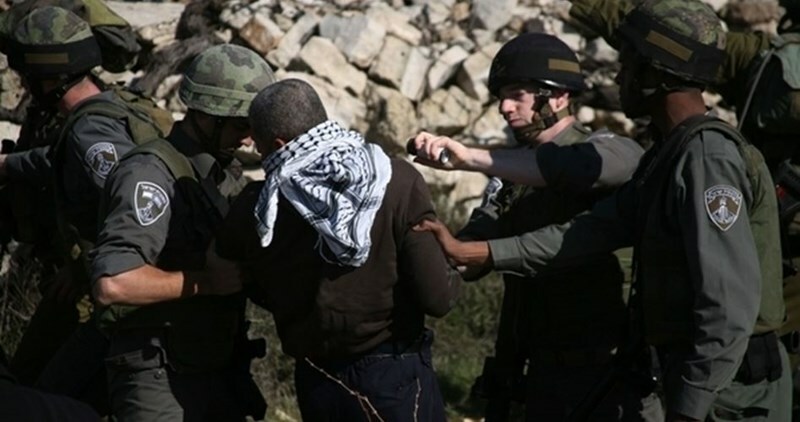 The seven Palestinians were among fourteen elderly men, who were kidnapped by the Israeli army in different parts of occupied Jerusalem, on April 14. The Palestinian Prisoner Society (PPS) has outlined the most prominent incidents that have happened to Palestinian prisoner Sami al-Janazra since he started his hunger strike last March. On March 3, 2016, prisoner Sami al-Janazra, 43, started his hunger strike in the Negev jail in protest at his detention administratively. On March 13, an Israeli court renewed his administrative detention for another four months. This was the first extension order against him since his arrest on November 15, 2015. Since March 20, the Israeli prison authority has embarked on punishing the prisoner by transferring him to several jails. On March 31, Janazra complained to the PPS lawyer about his suffering from several health problems On April 4, the military court of Ofer rejected an appeal filed against his detention. On April 14, the health condition of prisoner deteriorated further as a result of his prolonged hunger strike and his exposure to poor incarceration conditions in jail. On the same day, the Israeli prison authority announced that a court hearing would be held for him on May 16 On April 19, the PPS lawyer said that the prisoner suffered seizures and fainting spells as well as a head injury after he fell unconscious. On April 24, he was taken to Soroka hospital before he was transferred to solitary confinement in Ela jail. Six Palestinian prisoners, including a sick detainee, are on hunger strike in Israeli jails for different period of time, a rights group revealed. The spokesperson for Palestine Center for Prisoners’ Studies, Riyad al-Ashqar, said that Sami Janazra, from al-Khalil, has been on hunger strike for 58 days running in protest against his administrative detention. Janazra was recently moved to Ayla solitary confinement in the Negev despite his continued health deterioration and weight loss, al-Ashqar pointed out. 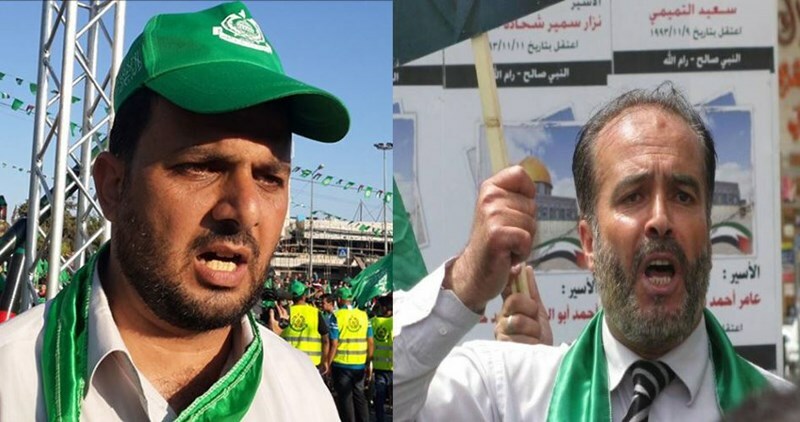 Meanwhile, the two prisoners Adib Mafarjeh and Fuad Assi continued their hunger strike for 26 days in protest against their renewed administrative detention. They both were moved to Ayla solitary confinement in an Israeli failed attempt to break their strike. Along the same line, the Jerusalemite prisoner Osama al-Rajbi went on hunger strike for 20 consecutive days protesting his isolation in Gilboa prison. The Palestinian lawyer Majdi Yassin, 33, has declared three days ago an open hunger strike in protest against his illegal arrest at Karama crossing while on his way to Jordan a week ago. For his part, the sick prisoner Mansour Muqada continued his hunger strike for 19 days in protest against Israeli deliberate medical negligence. Muqada, who is currently held in Ramla prison hospital, threatened to escalate his protest steps and to stop taking liquids. Mansour Muqada, one of the most seriously ill Palestinian political prisoners, was arrested in 2002 and sentenced to life prison term. During his arrest, he was shot with three bullets, causing him partial paralysis. The Israeli Occupation Forces (IOF) summoned at dawn Friday three Palestinian youths from Beit Fujar town south of Bethlehem for investigation. 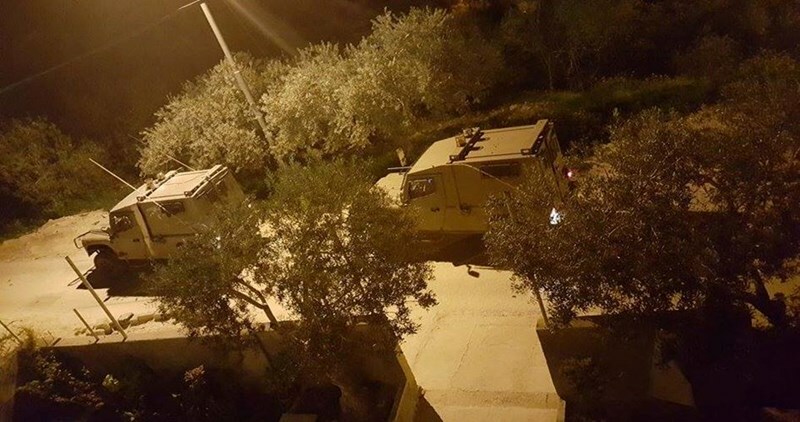 Israeli forces violently stormed and searched the three youths’ houses before handing them summons for questioning in Gush Etzion interrogation center south of Bethlehem. Local sources identified the three youths as Nabil Taqatqa, 30, Nader Taqatqa, 39, and Mohamed Taqatqa. Israeli arbitrary abductions of Hamas leaders will only boost popular support for armed resistance and anti-occupation activism, Hamas said Thursday. Hamas spokesman Husam Badran said in a press statement the arrests carried out by the Israeli occupation army are vain attempts at quelling anti-occupation activism. “The surge in Israeli arrests against Hamas leaders comes to mar the joy sparked by the decisive victory won by the Islamic Bloc at Birzeit University” said Badran. Over recent days, a striking surge has been documented in Israeli arrest sweeps against Hamas affiliates in an attempt to snuff out the flames of anti-occupation activism across the occupied Palestinian territories. The Israeli Occupation Forces (IOF) shot and injured on Thursday evening a Palestinian young woman and arrested another at Beit Huroun checkpoint west of Ramallah following an alleged stabbing attack. 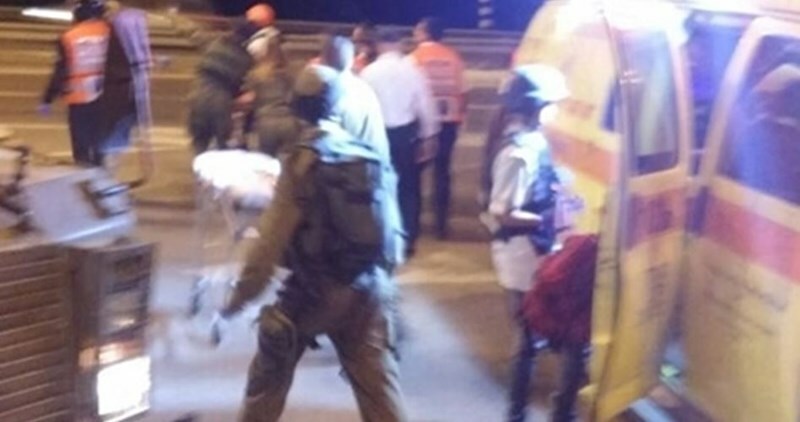 The IOF claimed that the two Palestinian females were arrested, one of whom was shot and injured by Israeli soldiers, after they allegedly attempted to stab a soldier near the Israeli illegal settlement of Beit Huroun. The Israeli sources said that the two female detainees attempted to stab soldiers stationed at a security crossing adjacent to route 443. Israeli forces fired at one of them and arrested the second. Palestinian Red Crescent crews were prevented from reaching the scene or to provide the injured young woman with medical aid. Shortly following the alleged attack, Israeli forces closed all roads leading to the nearby village of Beit Ur al-Tahta. The incident comes a day after Israeli forces shot and killed a pregnant Palestinian woman and her 16-year-old brother after an alleged stabbing attack at Qalandiya military checkpoint near Ramallah in the occupied West Bank. With the Palestinian death rate climbing as Israeli forces continue their crackdown on Palestinian protesters across the occupied West Bank and Gaza Strip's border, Israel's controversial policy of extrajudicial killing is once again being questioned. Amnesty International has recently released a report titled, "No Justification for deliberate attacks on civilians, unlawful killings by Israeli forces, or collective punishment of Palestinians". The report said that many of the Israeli killings come close to the definition of extrajudicial killings. Two Palestinian teens were arrested, one of whom was shot and injured by Israeli forces, after the two allegedly attempted to stab an Israeli soldier Thursday at a military checkpoint in the village of Beit Ur al-Tahta in the central occupied West Bank district of Ramallah. A number of Israeli military courts issued new Administrative Detention orders against 27 detainees for periods varying between three and six months, subject to renewal without a hearing. 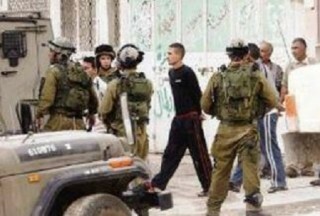 14 of the new orders are new Administrative Detention, while the rest were issued against detainees who have been held for several months, and even years to others, under the pretext of a “secret security file,” that neither the detainees nor their lawyers can ever see, or know their contents. Mohsen Mahmoud Shreim, Qalqilia – four additional months. Osama Nasser Saleh, Jenin – six additional months. Jihad Ali Hamran, Jenin – six additional months. Jibreel Maher Abu Sbeih, Nablus – three months. Mohammad Bilal Azizi, Nablus – three additional months. Odai Mahmoud Abu Mfarreh, Bethlehem – six additional months. Bakr Mohammad Baryoush, Tulkarem – six additional months. Marwan Sami Shawamra, Hebron – three additional months. Baha’ Taha Najjar, Hebron – six additional months. Ahmad Nabil Qanna, Nablus- three additional months. E’teraf Bajes Hajjaj, Ramallah – three additional months. Hashem Nafe’ Shalabi, Jenin – three additional months. 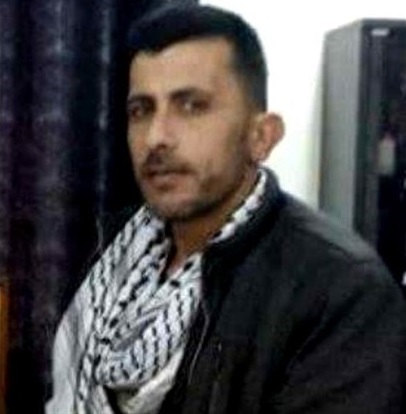 Eyad Abdul-Majid Shabana, Hebron – three additional months. Ahmad Qassem Sheikh, Bethlehem- four months. Akram Saleh Hussein, Ramallah – four additional months. Ameed Ayyoub Zamari, Qalqilia – six months. Mohammad Waleed Rabea’, Ramallah – four months. Noureddin Mohammad Sa’adi, Jenin – six additional months. Adham Attaf Daraghma, Tubas – six months. Mazen Jamal Natsha, Hebron – six months. Mahmoud Kamal al-Razzi, Jenin – four months. Mo’taz Mohammad Al-Mohtasib, Hebron – three months. Ezzat Abdul-Aziz Natsha, Hebron – four months. Monther Mohammad Jo’ba, Hebron – four months. ‘Attaf Yaqeen al-Atrash, Hebron – four months. Hamza Mahmoud Batran, Hebron – six months. Rafat Rashed Batran, Hebron – six months. The Palestinian Prisoners’ Society (PPS) has reported that Israeli soldiers kidnapped, on Thursday at dawn, at least ten Palestinians in different parts of the occupied West Bank, including Jerusalem. The PPS said dozens of soldiers invaded various Palestinian communities in the Ramallah and al-Biereh District, in central West Bank, and kidnapped six Palestinians, after storming their homes and searching them, causing property damage. The kidnapped have been identified as Waleed Sameh Rimawi, 37, Ramadan Hussein Ata, 31, Amro Yamen Qarabsa, 20, Ahmad Najeeb Mafarja, 55, Saed Abu al-Baha’ and Hussein Abu Kweik. 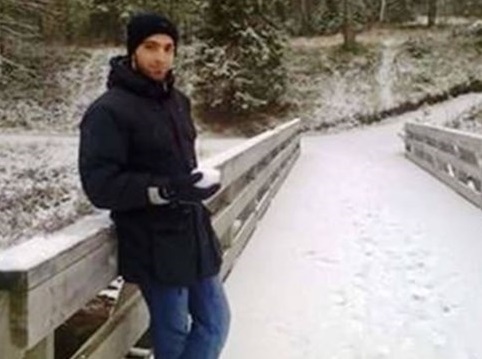 The soldiers also kidnapped Ahmad Adnan Erheil, 25, from Kafr Dan village, near the northern West Bank city of Jenin, after stopping him at the Za’tara military roadblock, south of Nablus. The PPS also said that the soldiers invaded, and searched, Palestinian homes in Shiokh village, in the southern West Bank district of Hebron, and kidnapped Mohammad Yousef al-Warasna, 18. In occupied Jerusalem, the soldiers kidnapped two Palestinians; one of them has identified as Bassel Abu Diab, 27. 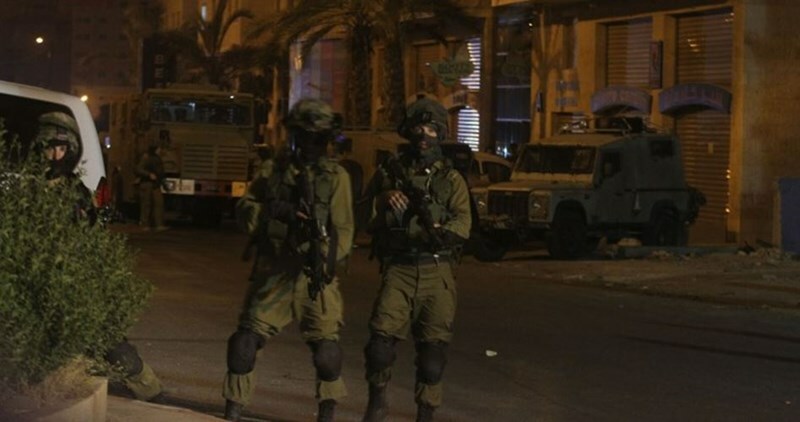 It is worth mentioning that, on Thursday evening, the soldiers kidnapped three Palestinians, including a child, and released them later after interrogating them. The child is only nine years of age, identified as Mohammad at-Taweel, from Silwan town. The soldiers allowed a neighbor to accompany the child, before his mother and aunt rushed to the interrogation center, and secured his unconditional release after the police also questioned his mother. The Palestinian customs police in the West Bank said that Israeli soldiers deliberately arrested a number of its patrol officers on duty near Tarqumya checkpoint in al-Khalil province. In a press release, the customs police explained that the incident happened after one of its patrols found and seized five trucks laden with rotten chicken meat smuggled from Israel. The police added that the Israeli soldiers attacked its customs men and arrested them after receiving a phone call from the smugglers of the confiscated meat shipments. The customs police have recently launched a campaign to locate and confiscate shipments of expired chicken meat smuggled from Israel. Palestinian prisoner Sami al-Janazra, from al-Fuwar refugee camp in al-Khalil, has been continuing his hunger strike for 56 days in a row in protest at being arrested under the illegal administrative detention. Mutaz Shqairat, lawyer of detainees and ex-detainees committee, said that the Israeli intelligence tries to break Janazra’s hunger strike by repeatedly transferring him between jails, hospitals, and isolation sections. He has been recently returned back to isolation, he highlighted. Lawyer Shqairat, who visited captive Janazra on Wednesday, said that he is passing through a tough condition especially that his feeling of fatigue and weakness has recently increased. He lost a lot of weight and has low sugar in blood due to long fasting. He also complained about punitive practices he has been subjected to by Israeli prison management. The lawyer revealed that there are clear instructions given to jailers to pressure captive Janazra by all means. A group of measures has been applied against him including minimizing the break time, withdrawal of clothes and blankets as well as the appliances and devices for everyday usage. The Israeli Occupation Authority (IOA) has been detaining the Jerusalemite journalist Samah Duwaik, 25, for 17 consecutive days after charging her with incitement against occupation over Facebook. The IOA has been preventing detainee Duwiak from family visitation since she was arrested on April 10 under the pretext of the ongoing Jewish holidays. Palestinian Prisoner Society revealed that Duwaik is one of 19 journalists who are detained in Israeli jails. The captive’s sister, Israa, told Quds Press on Wednesday that her sister was arrested from her home in Silwan neighborhood and held in Hasharon Israeli jail with 10 other female detainees. An Israeli court extended her detention order last week for the completion of judicial procedures. The Israeli Occupation Forces (IOF) arrested at dawn Thursday several Palestinians across the West Bank including leaders in Hamas Movement. Three ex-prisoners, from Ramallah, were among the detainees. A young man was also arrested at Za’atara military checkpoint while driving into Ramallah. His car was stopped and searched for more than an hour at the checkpoint before being taken to an unknown destination. Dozens of Palestinian youths were recently arrested at Israeli make-shift checkpoints erected throughout the West Bank. A number of leaders of Hamas Movement were also arrested few hours after the group’s student wing won the student council election of Birzeit University. Earlier Wednesday, the Islamic bloc, Hamas’s student wing, won the Birzeit University student council election with 25 seats, compared to 21 seats for Fatah, and five for the Popular Front for the Liberation of Palestine.